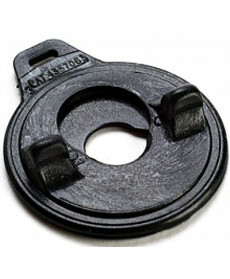 Strap Lock Dunlop SLS1031N. Cor: Niquel. Strap Lock Dunlop 7036. Cor: Niquel. Strap Lock Dunlop SLS1033BK. Cor: Black. Strap Lock DiMarzio DD2100N. Material: Cadeado de strap. Cor: Black. Strap Lock Fender Strap Blocks. Material: Cadeado de strap. Cor: Black. 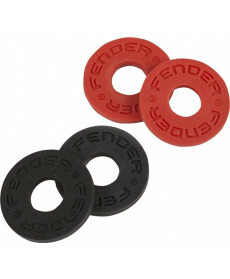 Set of four Fender Strap Blocks (two black and two red) that provide a remarkably simple and effective means of "locking" instrument straps in place. Compatible with most OEM strap buttons. 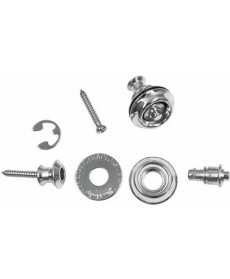 Strap Lock Dunlop SLS1034G. Material: Cadeado de strap. Cor: Gold.